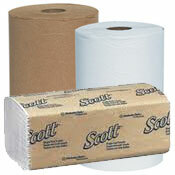 We offer a wide variety of paper products for virtually every sanitary requirement. We also supply the dispensing equipment for them, to meet the needs of employees and, at the same time, assure effectiveness and reasonable usage levels. Our paper products can be used to meet employee and cleaning requirements in washrooms, cafeterias, offices, factories and workshops in virtually every administrative and industrial setting. The goal is to meet the requirements of your employees and your business, but at the same time avoid excessive use and excessive cost. The use of dispensers reduces overall consumption of paper supplies dramatically. The goal is to meet employee needs, without excess consumption. Without dispensers, rolls or stacks of paper products can be accidentally knocked to the floor and then thrown out, or employees may thoughtlessly grab too much for the cleaning or drying job. Both of these situations cause waste of paper and money. The general rule is to place dispensers on a wall several steps from the location of the user; for example, paper towel dispensers should be several steps from the wash basin. 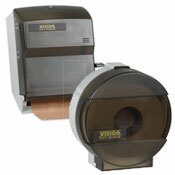 Too often, companies place paper towel dispensers too close to wash basins, which increases towel consumption. The reason: Excess water will drip from an employees’ hands if they have to take just a few steps to the towel dispenser, decreasing the number of towels needed for drying. Also, be sure to purchase the correct type of towel and dispenser for your needs. The product lines we utilize are of the highest quality materials. 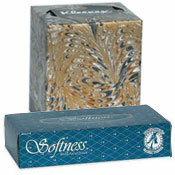 Producers or brands like Acclaim, Bobrick, Bounty, Charmin, Décor, Ft. James, San Jamar and Windsoft. 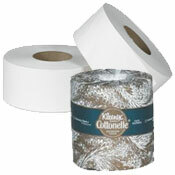 We provide the widest variety – like 1-ply, 2-ply, jumbo rolls, c-fold, multi-fold, single-fold and center-pull towels and toilet tissues – in a range of materials and colors – like bleached white, natural white and kraft.